SLA 3D printing is shorthand for stereolithography (SL), a 3D printing technology that has been in used for four decades in various forms of development. The process was first patented in 1986 by Charles Hull, the co-founder of 3D systems, but early technology can be traced to Japan as well. Along with FDM 3D printing (fused deposition modeling) and SLS 3D printing (selective laser sintering), SLA is becoming more accessible to small businesses, entrepreneurs and other individuals as it becomes more affordable. You might here it referred to by additional terms including rapid prototyping, optical fabrication and resin printing, terms that roughly apply to SLS 3D and FDM 3D printing too. 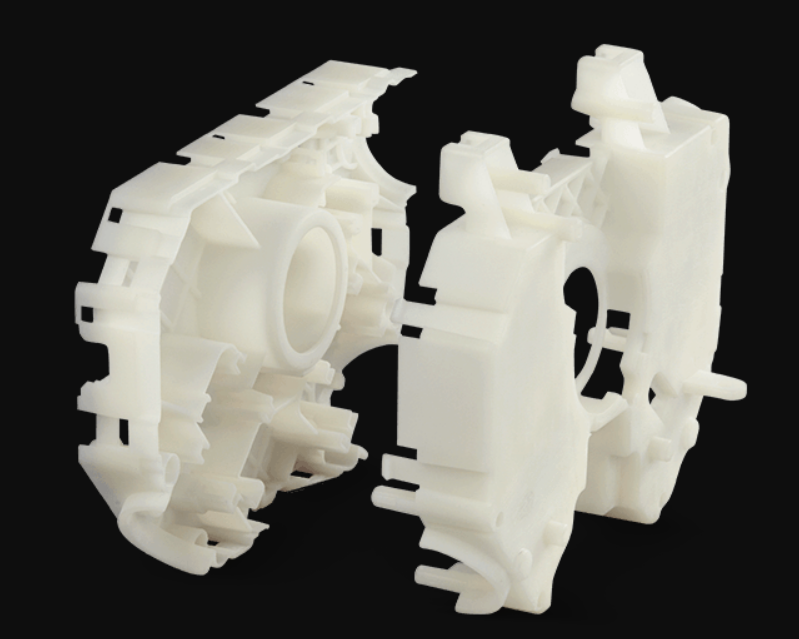 Stereolithography is often chosen for creating prototypes and models because it produces clean, crisp forms with layering that is difficult to see or feel. 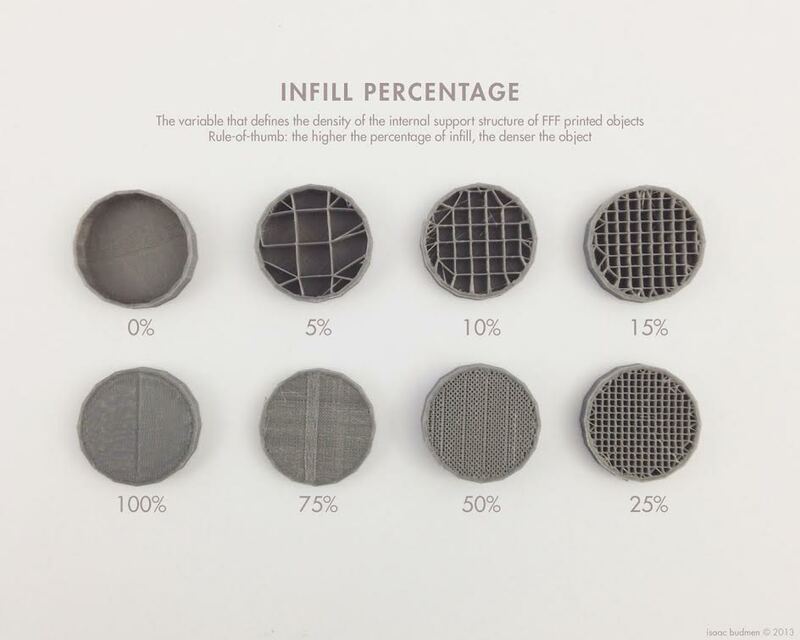 Like FFF (fused filament fabrication, aka FDM) 3D printing, this technology is an additive manufacturing (AM) process. This means that material is formed and added layer by layer to produce the 3D object. However, much about the technology and techniques are quite different. It starts with a vat of liquefied photopolymer resin, meaning that the resin reacts to light. The resin is heated a specific, consistent temperature ideal for curing. Inside the vat is a build platform that starts out at the top of the vat. In most printers, the platform is coated with resin material by a blade or armature that sweeps across it. An ultraviolet (UV) laser, guided by computer-aided software and a file uploaded for the specific object to be built, is directed into the surface of the vat using two actuated mirrors known as galvanometers. The liquefied photosensitive polymer resins are cured by the laser as it "draws" the preprogrammed design, one layer at a time. The platform is lowered incrementally a distance equal to one layer of cured resin as each layer of the prototype or product is drawn onto its surface. Each cured layer becomes part of the piece. For many pieces, support structures are required to eliminate deflection caused by gravity and to support the piece laterally as well. The supports are printed along with the product/prototype, often attached to the build platform. Once the SLA 3D object is finished, it is gently peeled from the print platform, also called a bed. It is immersed in a chemical solution that removes excess resin. Next, the entire piece and its supports is placed in an ultraviolet curing oven. Finally, any support structures are trimmed from the piece, and it is complete. In this approach, the laser is directed at the bottom of the clear tank, and the first layer is written/printed onto the bottom of the platform. The cured resin sticks to the build platform as it is raised up out of the tank, and each successive layer is printed to form the whole. A laser known as a deep-blue polymerization laser is used in this alternative technique. In either technique, layers have a thickness of 0.05mm to 0.15mm depending on the printer and the setting. A benefit of the very thin layering is that it is not as visible as the layers in FDM/FFF 3D printing. Often called consumables, just as in paper printing, many different polymer resins are used that provide options for the strength, hardness and/or flexibility of the printed item. In some cases, the resins are proprietary, so their exact chemistry isn’t known. For example, Accura 3D Systems produces more than 15 materials, each with unique performance. Some of the names give an ideal of their purpose: Accura ClearVue (high-clarity prototypes such as headlamps), Accura e-Stone (used to produce dental models for study and training), Accura Xtreme (to create high-density, machinable parts and safety gear) and Accura CeraMAX Composite (ceramic-reinforced composite for modeling and components that resist heat and wear). Other materials used in the industry are, or mimic, ABS plastic, die-cast aluminum and polypropylene. The manufacturers of the materials produce charts that allow consumers to compare and contrast the materials based on standard measures such as: Tensile strength, elongation at breaking point, flexural strength, hardness and heat deflection temperature. There are advantages and disadvantages to this type of 3D printing. See our pages on FDA 3D and SLS 3D printing to compare these types as you consider which is best for your project. There are two drawbacks to keep in mind, though these obstacles are being removed as stereolithographic printing becomes more popular and accessible. 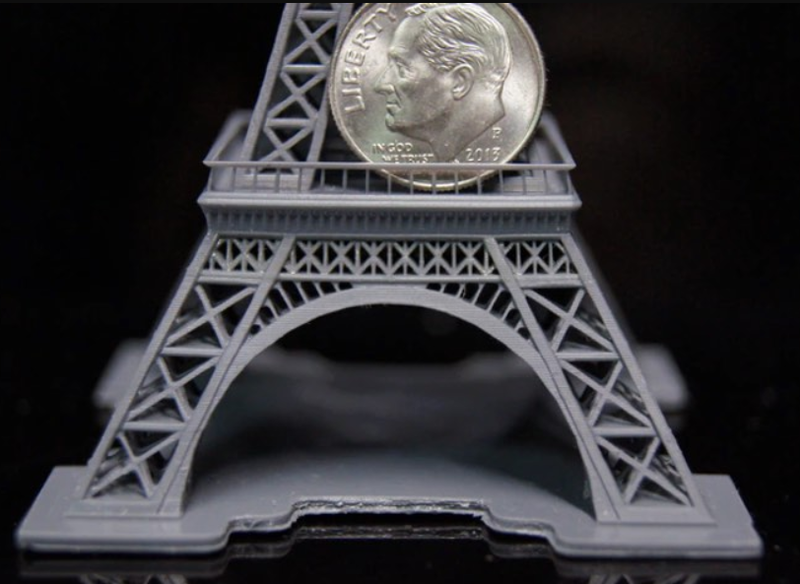 Printer cost: The advanced technology of stereolithography make SLA 3D printers very expensive. These factors mean that while producing a single object can be cost-effective vs. traditional methods, mass production is not yet affordable using SLA. 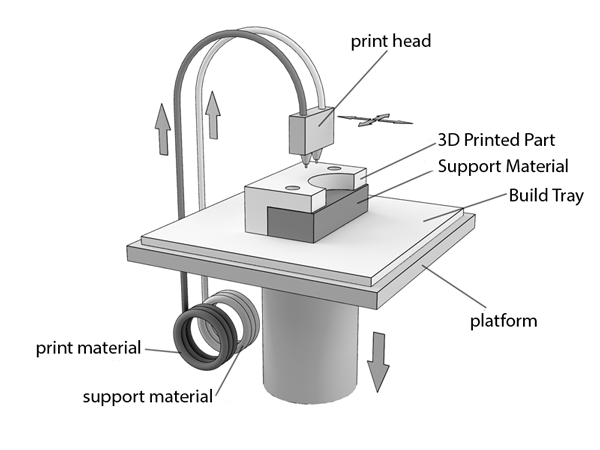 Material and maintenance costs: Materials and maintenance of the printers is also costlier than for other types of 3D printers It is expected that prices will come down as more manufacturers get into the business of producing stereolithographic 3D printers in response to demand from large and small businesses and personal users. 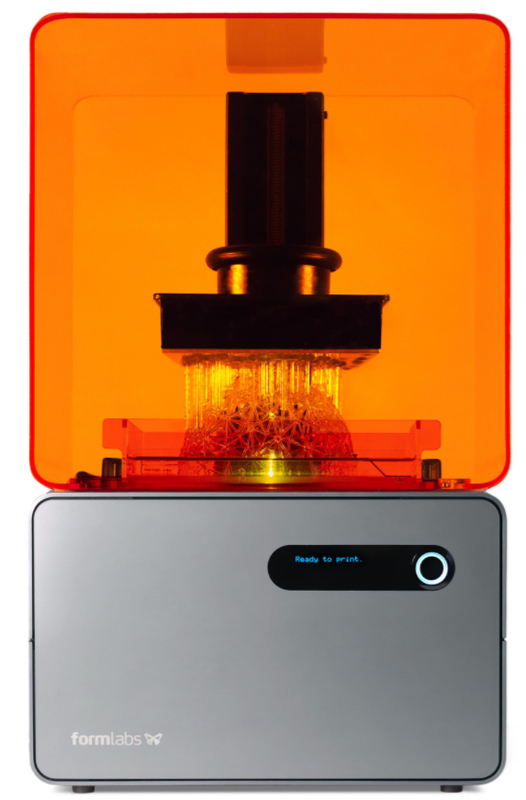 For example, while early SLA printers cost more than $200,000, recently introduced machines such as the Form 2 from Formlabs costs less than $4,000. Desktop SLA printers from a range of manufacturers are becoming more available and more affordable. As pricing comes down for the machines, the cost of each object printed falls as well. 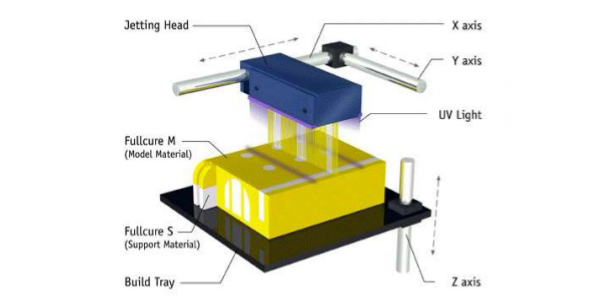 Here is how stereolithography is being used. Prototyping: Also known as rapid prototyping, creating prototypes was the original purpose of this process. Manufacturing prototypes of parts in a wide range of fields continues to be a popular use for stereolithography. The advantage of this process is that the prototype can be made at far less expense than by using more traditional means. The prototypes are accurate and detailed, even when non-conventional shaping is required. They can be machined and used in the design of master patterns for injection molding, metal casting and thermoforming, among other production methods. The prototypes can then be used to assess the performance of the design, and they are often used in marketing campaigns for the object once production has begun. Medical and dental modeling and prosthetic production: Accurate 3D models of anatomical parts such as bone structures and organs are created with this technology. The models are used in training. They can also be customized for individual patients using the data gained from testing such as an MRI or three-dimensional CT scan. Medical and dental models aid in planning for operative procedures and in the manufacturing of implants and prosthetics. Manufacturing: While SLA 3D printing is not a cost-effective means of mass production, it is an inexpensive way to create one or a few customized products that are unique. For example, designs are used in branding, logo creation, publicity and custom gift making. SLA vs FDM: FDM printing is fused deposition modeling, a trademarked name. It also goes by the term fused filament fabrication, or FFF. This form of additive manufacturing is similar in that designs are sliced and printed in layers. However, rather than using liquefied polymers and a laser as in SLA, the material is extruded through a multidirectional print head that contains resistance heat coils. The material is melted for printing. The fine detail of stereolithography is not possible with FDM/FFF printing. Both rely on guidance by CAD/CAM design software. Both offer rapid prototyping and single-unit production for a range of industry and business applications. SLA vs SLS: SLS Printing or Selective laser sintering, is like SLA in that it prints with a laser. The difference is that the laser is used to fuse dry plastic particles rather than cure liquefied resins into solids. Both 3D printing methods are used for small and large parts. SLA vs PolyJet: In PolyJet printing, Liquefied polymers are cured by UV light in PolyJet printing, just as in SLA printing. 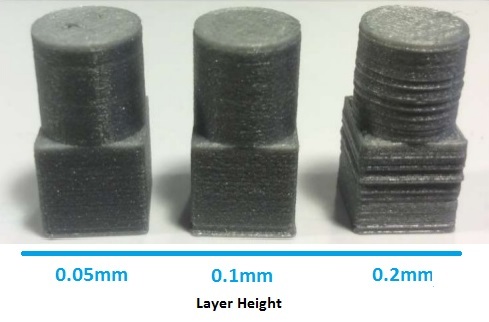 The difference is the polymers are stored in a vat in SLA 3D printing; in PolyJect printing, the polymers are stored in a print head and jetted onto the build platform where they are immediately cured. Both types offer outstanding detail. Computer-aided manufacturing (CAM) and computer-aided design (CAD) software is essential to the process of all 3D printing including stereolithography. The software is used to produce computerized models out of mere ideas. The models can be changed and tested; now, they can also be printed. Before printing, the CAD model must be sliced/layered to print one layer at a time. To be used in 3D printing, the CAD/CAM files are translated into a file type the 3D printer can read. The most common language used in SLA printing is STL, or Standard Tessellation Language. 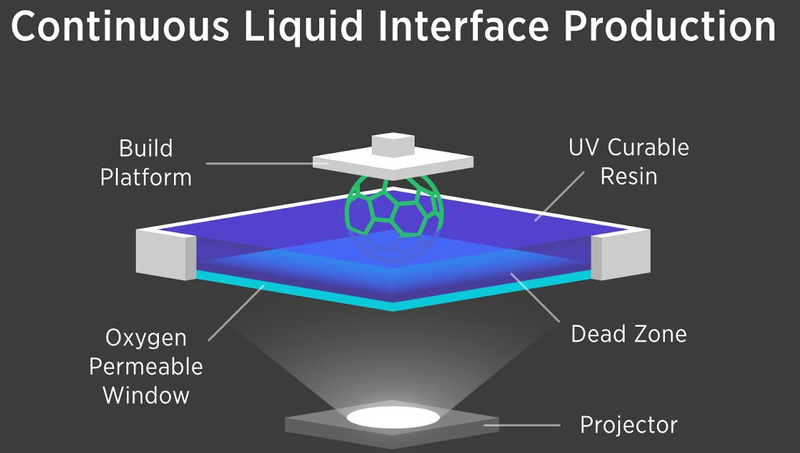 The trend in stereolithography is toward more affordable printers including desktop SLA printers. This should produce greater accessibility for small-business owners, entrepreneurs and hobbyists whether they own the printer or use the services of a print provider such as MakeXYZ.